Nearly one-third of employees show up for work at least five days a year when they know they are too stressed to be effective. And “presenteeism”—when workers clock in even though they are physically or mentally unable to work at full speed—has risen to 22%, according to a new survey by EAP provider ComPsych. ComPsych CEO Richard A. Chaifetz attributes the high level of presenteeism—up by 3% from a year ago—to prolonged stress brought on by the extra work so many employees have taken on, while their companies take a wait-and-see approach when it comes to hiring. Result: Stress, burnout and reduced performance. 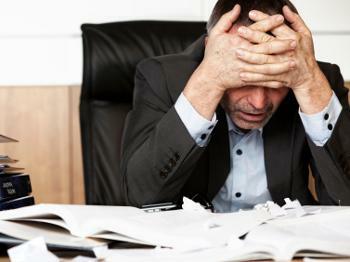 In fact, the survey reveals, 63% of the 1,800 employees who participated reported high stress. More than one-third said they lose an hour of work each day because of it. Stress and personal relationship issues remain the top reasons why em­­ployees miss work, outpacing personal illness and caregiving.